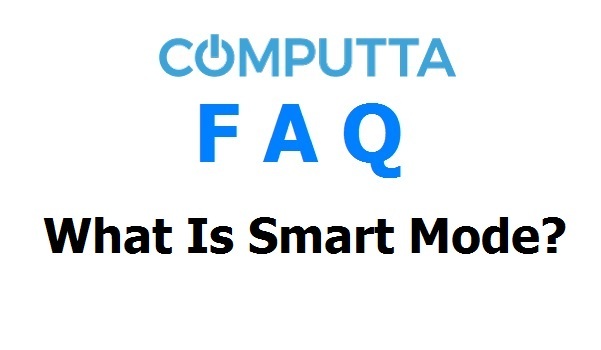 The Computta Smart Miner software has a smart mode setting. You will see it in the main screen, once you install and start the mining process after the benchmark. 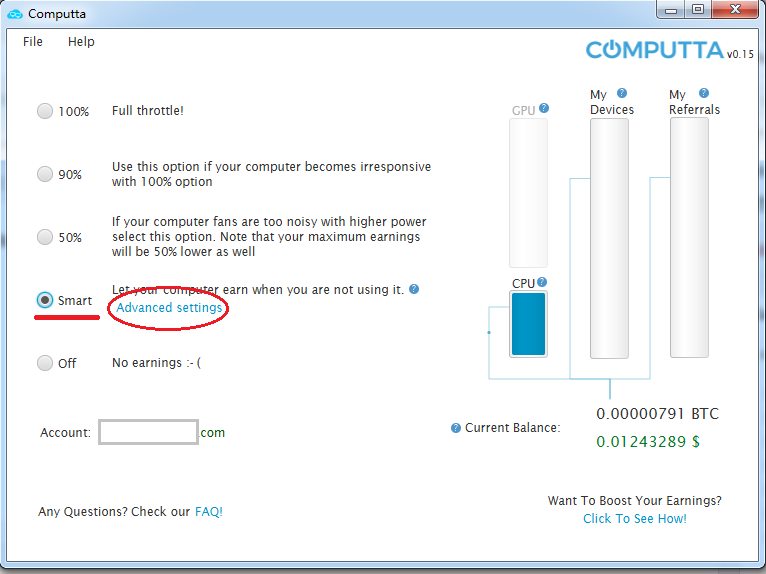 The smart mode will enable you to turn the miner software on only when your computer is idle. This will make it use the device’s computing resources only when you are not using your computer, thus not interrupting your work or play in any way at all. The advanced settings will let you to fine-tune your smart settings like idle time before the miner starts, the max power load when you’re using your device and when you’re not using it. You can also tweak these settings for your CPU and GPU separately.